There have been many sports stars trying their hand at acting over the years, with some failing to impress on the big screen, while there are others who actually turn to acting full-time. 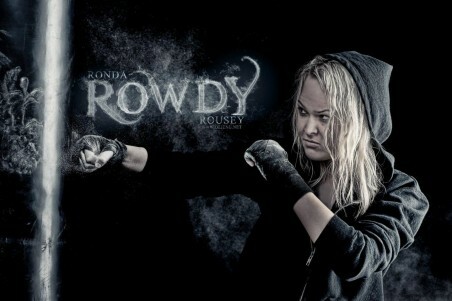 UFC star Ronda Rousey has been enjoying her acting career over the past couple of years and she has a new movie which will be released in a few months. Ronda Rousey is not the only big name that will feature in the new movie, as she will be sharing the big screen with the beautiful and talented The Walking Dead star Lauren Cohan. t will be interesting to see what Mile 22 has to offer and how the stars will all gel on the big screen but it does sound like it could be an interesting movie. There is no doubt that there are plenty of people who do already know a great deal of information about this new movie, but there will always be others who want to know more. So for those who do want to know more, Mile 22 has been officially described as, "An elite American intelligence officer, aided by a top-secret tactical command unit, tries to smuggle a mysterious police officer with sensitive information out of the country." As well as having Lauren Cohan and Ronda Rousey on board for the new movie, the Mile 22 cast will also feature other top Hollywood names including the likes of Mark Wahlberg, John Malkovich, and Iko Uwais, to name just a few. Mile 22 has been directed by Peter Berg, based on the screenplay developed by Lea Carpenter and Graham Roland, with the film set to open on August 3 in the US and on August 10 in the UK.